There’s nothing quite like paper when it comes to the reading experience! Yesterday, I received my hard copy of the Journal of Marketing Management Special Issue on gender in marketing and consumer research, guest edited by Zeynep Arsel, Kirsi Eräranta and Johanna Moisander. Our paper Fashionably voluptuous: normative femininity and resistant performative tactics in fatshion blogs, written by my colleague Annamari Huovinen and myself, was published in this issue. This was a great and rewarding project, and our first collaboration in terms of academic research. It feels satisfying to see the words and sentiments in print that we worked so hard for. To feel the paper, to turn the pages, is such a different experience from staring at pixels which much of academic work amounts to nowadays. In this article, we examine fatshion blogs (that is, ‘fat fashion’, or plus-size fashion blogs) as a site of subversive identity work, but also as an instance of consumer resistance. Fatshion blogging, with its image sharing, constitutes a performative act that draws on the normative notions of beauty, gender identity and femininity to construct identities that seek to subvert the prevailing ideals while working to create a space for alternative female subjectivities. However, largely mediated by the media as much as the market, cultural ideals of what the female body ought to look like, the norms governing what is acceptable, sit tight and pervade even the most active resistance. The fatshionista project is a complex and multi-layered endeavour that highlights the complicated and intertwined nature of identity at the intersection of social and cultural norms, consumer culture and the market. however, the collective undertaking nevertheless (re)constructs and maintains some other forms of gender oppression by way of upholding certain norms governing the female body while resisting others. This highlights not only the difficulty of consumer resistance, but also the conflicted nature of identity performance under the influence of the market, the media and social and cultural expectations. The article outlines two performative tactics employed by fatshionista bloggers as they construct and negotiate their identities online, one of which higlights diversity and difference relative to the mainstream representations, while the other underlines similarity by way of subverting the normalised mainstream fashion discourses. This material originally appeared on Anu Harju’s personal blog on 2 October 2015, and is reposted with her permission. Read the original research article: Harju, A.A., & Houvinen, A. (2015). Fashionably voluptuous: normative femininity and resistant performative tactics in fatshion blogs. Journal of Marketing Management, 31(15-16), 1602-1625. 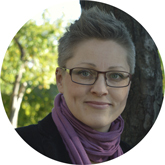 Anu Harju is a digital culture researcher at the Aalto University School of Business. Her interests cover such topics as death and commemoration online, gender and identity, online belonging, fan communities and consumer participation and resistance. 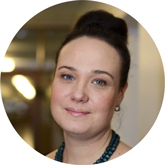 Annamari Huovinen is a communication researcher and teacher at Aalto University School of Business. She is currently working on research projects concerning politics and the media.